The Oxford Science Park is proud to have become a Founding Member of the Friends of the Oxford United Football Academy, a new initiative at the club to help raise vital funds for their grassroots coaching work at The Oxford United Football Academy. In the past young talented local players have been scouted from as young as seven and persuaded to join clubs from outside the county to develop their skills. 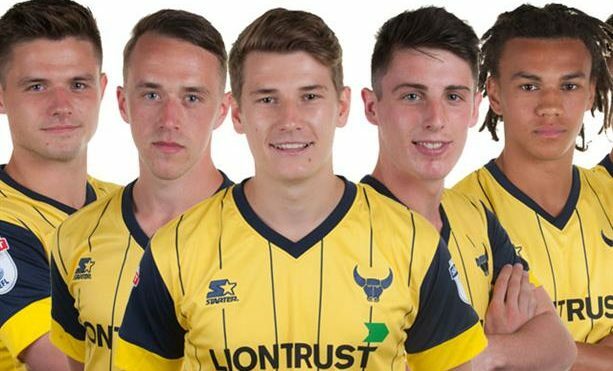 In recent years the Oxford United Football Academy has worked tirelessly to change this and the fruits of their labour have seen home-grown footballers rise through the ranks to play for the first team. Players such as Sam Long, Josh Ashby, James Roberts, Robbie Cundy and Miles Welch-Hayes are the latest products of the Academy. Historically the club has helped bring through players who went on to play international football, such as Mark Wright and Sam Ricketts, and others such as Dean Whitehead and Dexter Blackstock who have played in the Premier League. Find out more about the Oxford United Football Academy.